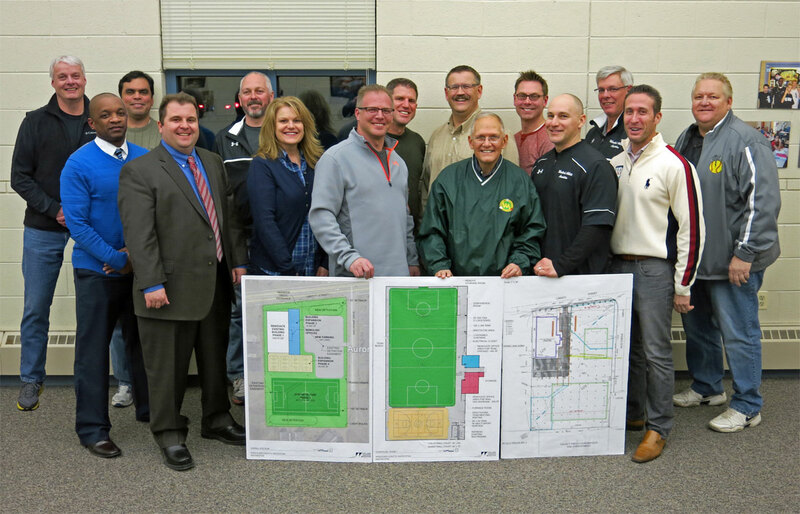 The Wheatland Athletic Association (WAA) is a non-profit parent volunteer organization which provides youth athletic programs to all residents of the District 204 school community serving Naperville, Aurora, IL and the surrounding areas. WAA was founded in 1977 to provide T-Ball for 60 children. Today we have over 12,000 annual participants and offer a variety of programs for children ages 2 – 18 as well as adult programs. The Wheatland philosophy is to progressively develop children's skills by offering programs for various age levels. As they develop, the children are taught the value of good sportsmanship and teamwork. Our intent is for the children to have FUN and to learn to enjoy the sport they play. Many of the WAA programs are noncompetitive which provide a non-threatening and a positive experience for the children. Competitive leagues and Travel Programs are also available for the more skillful and experienced players. WAA structures programs so they are geographically convenient to our residents by establishing teams and scheduling events in close proximity to neighborhoods and schools. Coaches attend clinics to develop and improve their knowledge and coaching skills. WAA relies on parent involvement which makes all of our sports a lot of fun for the entire family. Each year we offer Fall and Spring Soccer, as well as, Girl’s and Boy’s Traveling Team Chicago Soccer, Recreational Indoor Soccer, and Adult Soccer. Flag Football and Fall Baseball programs are also popular and fill quickly. Basketball is offered in summer and winter months for children in grades K – 12. Included in the basketball program is a more competitive league for boys grades 2 – 8 who are interested in playing more skilled teams. We currently offer Traveling Wizards Basketball teams in grades 3 – 8. We have a baseball program which includes T-Ball, Rookie, Single A, Double AA, Triple AAA Baseball, Minors, Majors, and Ponies Competitive Leagues, Recreational Softball for girls 1st – 8th grades. Our Travel Ducks Baseball Program is for 8u –18u, and Travel Spikes Softball is for 8u – 18u. For further information about Wheatland Athletic Association please contact us. Directors and staff (L-R) Doug Atkins, Duncan Ward, Magno Barreto, Rich Janor, Jeff Wicklund. Lisa McClellan, Sam Salerno, Greg Sondag, Ken Gaul, Larry Gentile, Josh Bartzen, Mark Pasqualini, Randy Briesath, Bill Chval and Tom Spika. 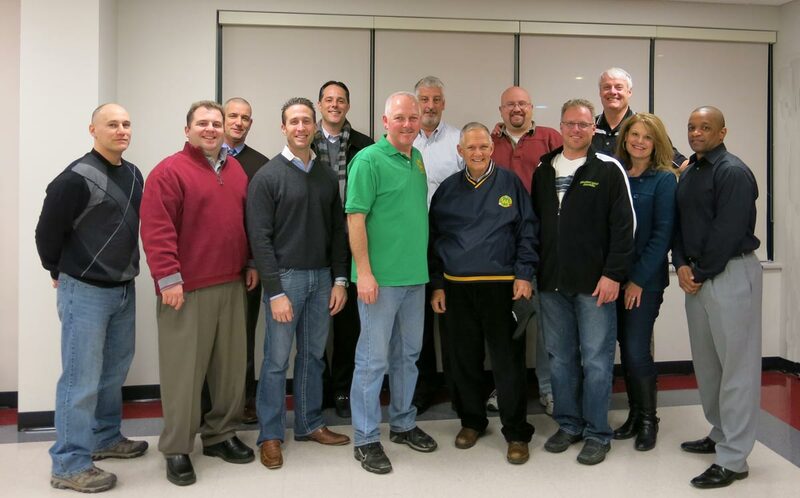 Directors and staff (L-R) Mark Pasqualini, Rich Janor, Rob Farley, Bill Chval, Brad Despot, Jeff Wicklund, Craig Helwig, Larry Gentile, Mark Crawford, Sam Salerno, Doug Atkins, Lisa McClellan and Duncan Ward.